For most people, fasting is something done before a medical procedure or by hyper-religious people. But fasting is a vital spiritual practice that has made a huge impact in my life, helping me to discern at critical points and grow closer to God. Growing up, I understood fasting as giving something up during Lent, the 40-day season leading up to Easter. I remember fasting from things like soda or the internet. I eagerly anticipated each Easter morning, when I could break my fast from whatever I had given up. I did this from the 5thgrade until my freshman year at Oklahoma State University. Looking back, fasting was really only something I did every year because I was supposed to. I didn’t fast to intentionally grow closer to God. I didn’t truly understand why I was doing it. I was just going through the motions. That changed when I started attending the Wesley Foundation college ministry my freshman year of college. One morning at worship, I learned about a small group that was going to begin meeting during the Lent to fast weekly for 24 hours from everything but water. I knew that it would be hard, but at that point in my faith walk, I also knew I could do it. The first day of fasting came around, and at our small group meeting, we discussed what it means to fast with a purpose. At that time, I had reached a point in my life where I had to make a tough decision. I felt lost and needed to know what God wanted from me. I decided that my purpose during the fast would be to seek God’s will for my decision. To be honest, that day was extremely difficult for me. At the time, I worked at Walgreens, and I had to deal with customers buying all sorts of snacks and food while I only drank my water. 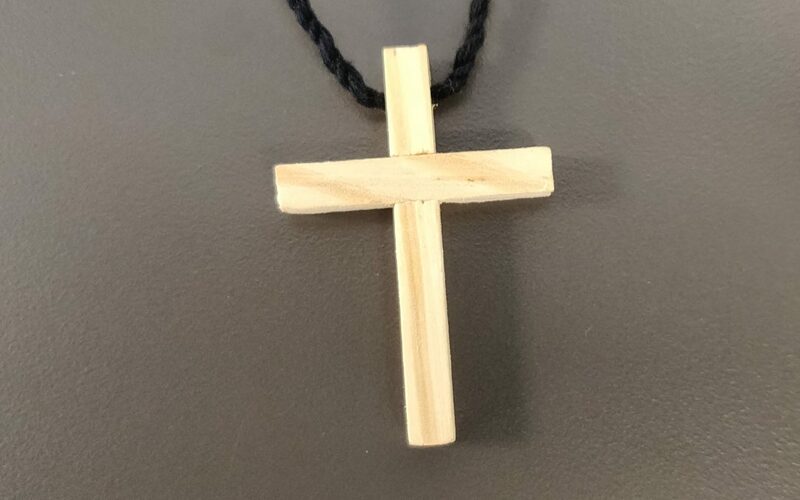 I received a wooden cross necklace to help me remember why I was fasting, and I remember constantly clutching it whenever I found myself feeling hungry. Despite my hunger, that day marks one of the most important days of my life. That day marked the first time I heard God and knew what He was saying to me. I was working the register, and all of a sudden, an elderly customer whom I had never met gave me some simple advice, and I immediately knew what God’s answer was. That was the last time I remember being hungry that night. For the rest of that season of Lent, I began hearing God more and more in various ways. It was a transformational time in my life. Easter became more of a celebration for me than just the day I could break my fast. It was a celebration of Christ’s resurrection and the salvation that it brings. It is a time for me to cherish my relationship with Him as well as my family. 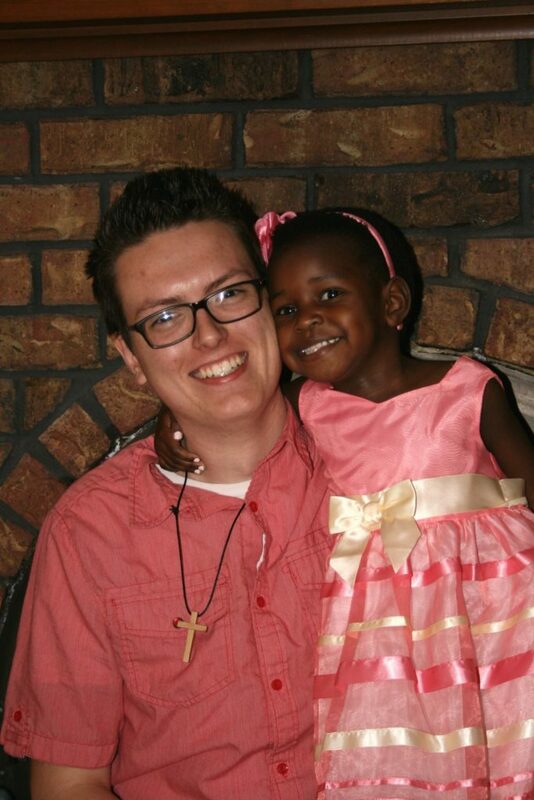 Celebrating Easter with my niece my freshman year. Following Lent that year, I began working as an intern for the Wesley and, in the following years, leading a small group during Lent so that other students could have a similar experience to mine. Now, as a youth director, I get to teach our students about fasting and help them experience it during 30 Hour Famine, an event where students fast from food for 30 hours alongside their peers and raise funds to combat hunger. I use my experience from the past to encourage students who are unsure about the idea of fasting for 30 hours and show them that it is entirely possible. I have been able to see students grow in their spiritual lives through the practice of fasting. I am eternally grateful to be able to watch the students grow in a similar way as myself. If you are someone who looks at fasting as a nearly impossible task or something that simply isn’t for you, I encourage you to give it a try. You might start with a 24-hour fast from food. Or, if that seems like too much, you could also try a 12-hour fast from food, or a 24-hour fast from a specific type of food, like meat or sugar. There are plenty of ways to practice fasting, and I encourage you to find one that works for you and try it out. Fasting is a truly transformational practice, and I pray you will experience God in a powerful way through it.